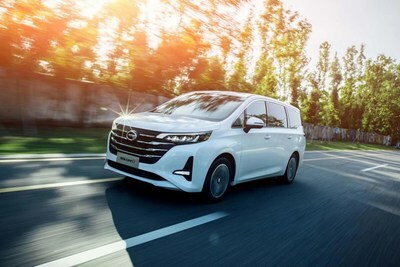 SANYA, China, Jan. 4, 2019 /PRNewswire/ — Designed to make family travel safer and more convenient, GAC Motor has officially released the GM6 Minivan. The highly anticipated all-new family car was launched in the domestic market on January 2 in Sanya, China. International fans will be able to catch a glimpse of GAC Motor’s latest family offering at the 2019 North American International Auto Show (NAIAS) held in Detroit this January. “The GM6 Minivan, complete with a five-star safety package, versatile seating and AI-enhanced driving system is one of our safest, most intelligent and spacious designs yet. Designed especially for families, the GM6 Minivan is packed full of features suited for the perfect modern family road trip,” noted Yu Jun, president of GAC Motor. Infused with elegance and intelligence: the smart, subtle décor and soft texture of the interior of the GM6 embodies family harmony and warmth, while the exterior cuts a bold statement with its LED matrix headlights and Flying 3.0 Dynamic grille. As a family car designed for extensive travel and use, the 1860mm wide and 1730mm tall GM6 proudly boasts an extra spacious cabin perfect for daily errands or long road trips. No matter where your next adventure may take you, the GM6 Minivan checks all the boxes. Armed with a versatile third-row seating arrangement, the GM6 offers an industry leading super-large luggage space of up to 1100L, big enough to fit 14 20-inch suitcases. In addition, the GM6’s ergonomic seating arrangement provides a broader vision for the driver in the front while passengers can relax in the back with sleeping mode equipped seats; perfect for long journeys. Moreover, the addition of an all-new Injoy user interface design with 11 upgrades and duo 12.3-inch integrated horizontal screens, makes the GM6 one of the smartest and most driver friendly vehicle in the company’s line-up. In 2018, GAC Motor launched the brand’s first Minivan GM8, targeting confident business elites seeking a high-quality lifestyle. Coined the “mobile conference room,” the luxury, comfortable and upmarket GM8 having already hit the markets in The Philippines and Myanmar, has been well received by local customers. In recent years, GAC Motor has established a world-class car design and manufacturing system. 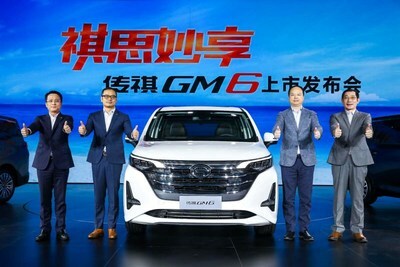 The release of GM6 has further completed GAC Motor’s product portfolio which now features not only the star SUVs but also diversified products like sedans and Minivans. With an established global sales and service network in 16 countries covering Middle East, Southeast Asia, Eastern Europe, Africa and North America, GAC Motor is also planning to introduce more new models in overseas markets soon. Founded in 2008, Guangzhou Automobile Group Motor CO., LTD (GAC Motor) is a subsidiary of GAC Group which ranks 202nd among Fortune Global 500 companies. The company develops and manufactures premium quality vehicles, engines, components and auto accessories. GAC Motor has now ranked first among all Chinese brands for six consecutive years in J.D. Power Asia Pacific’s China Initial Quality Study(SM) (IQS), demonstrating the company’s quality-centric strategy from innovative research and development (R&D), manufacturing to supply chain and sales & services.